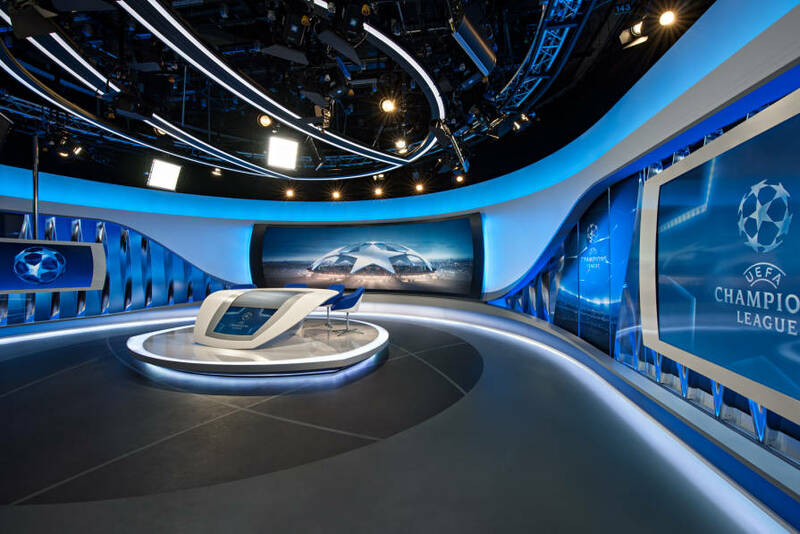 Veech x Veech has designed a new flagship sports studio that sets a new benchmark in responding to the challenges of high-definition broadcasting, pushing the boundaries of the seamless integration of media technology into a physical studio environment to create a high-resolution, luminous space. 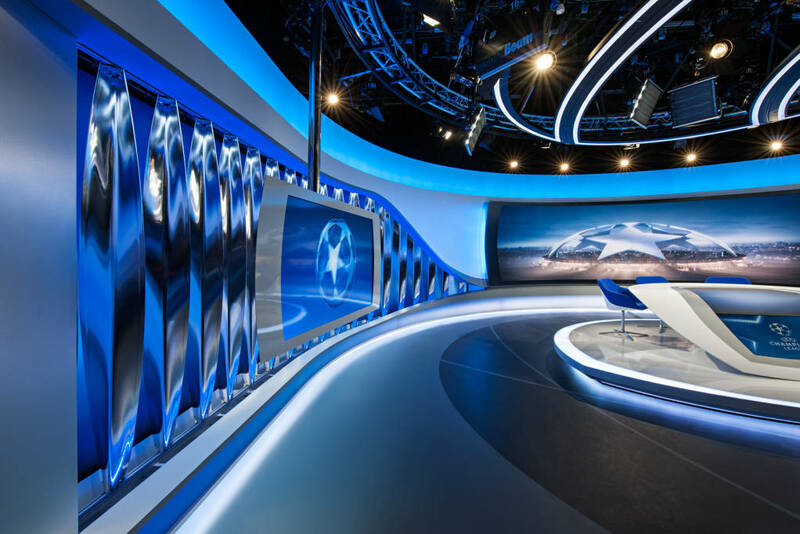 The launch of the new multifunctional ORF Sports Studio highlighted the return of Champions League football to the Austrian broadcaster. Veech x Veech had been appointed to create an overall visual identity for a flagship studio flexible enough to incorporate the multiple identities of the individual programs. 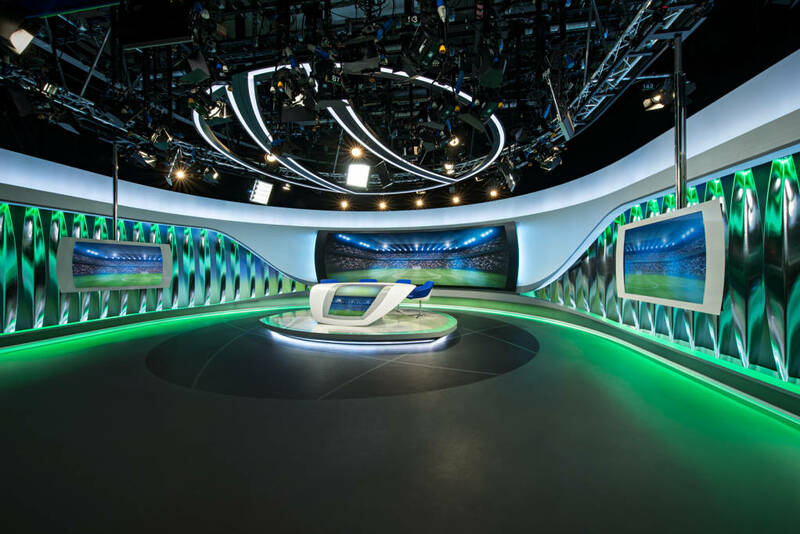 The primary challenge was the resolution of the image, which required a totally new approach to the design of the on-air spaces. 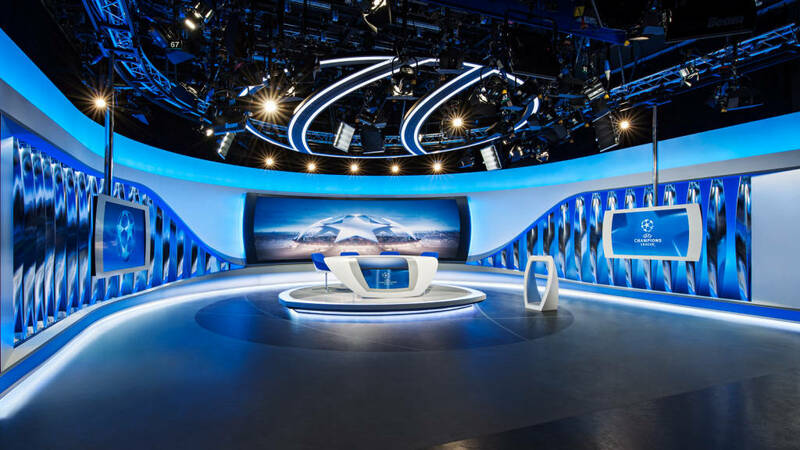 The design team sculpted the space with light and media content to achieve a maximum benefit of the overall spatial resolution required for HD. 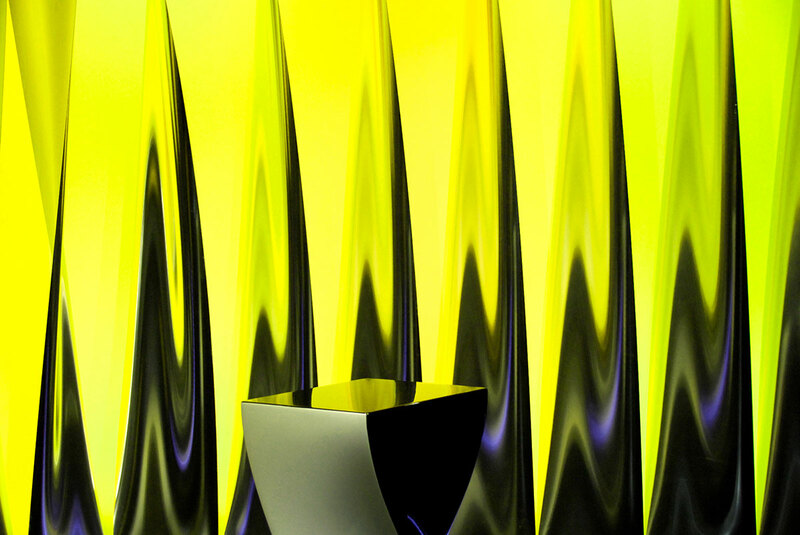 In addition to the standard studio lighting, there are seven different primary lighting surfaces, each of which is either pre-programmed in various modes or responds to changes in other sources with various effects – soft or diffused, direct or indirect, vibrant or reflective, animated or ambient – resulting in overall luminous, highly articulated spaces. 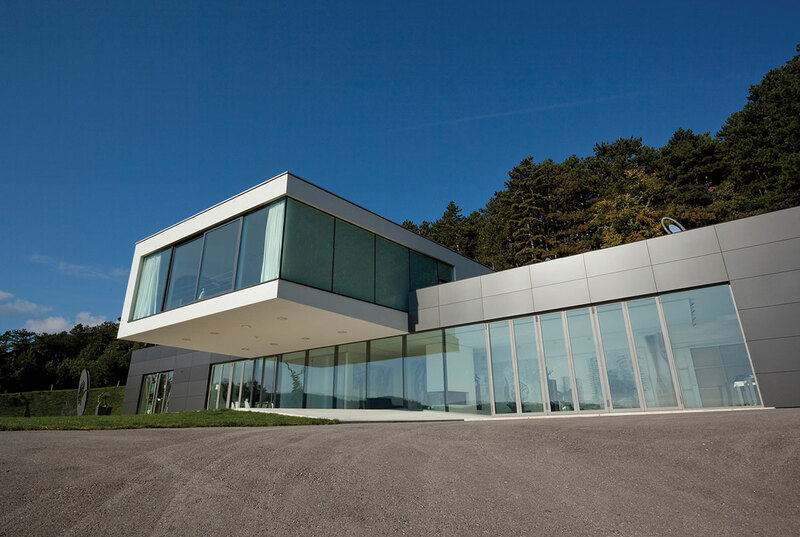 The design intent for this studio was to achieve a perfect synergy between information and emotion in the form of a future-oriented ambience capable of communicating the dynamic intensity of today’s sports. 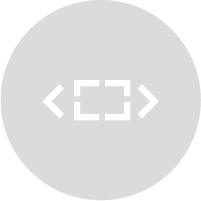 The differentiation of the various program formats within the overall visual identity is accomplished by means of a combination of elements. 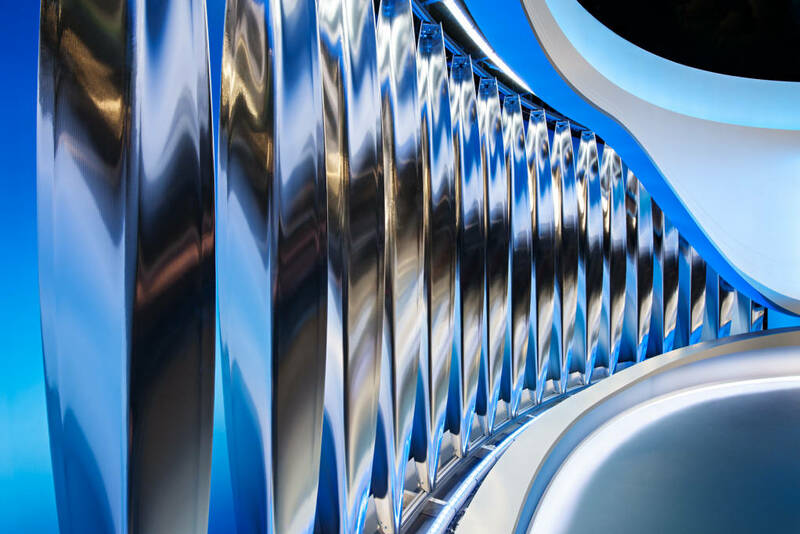 A dynamic background, consisting of an ensemble of forty curved, 3D, two-toned louvres reflects and refracts the full-scale rear-projected LED media installations, creating a dynamic sculptural plasticity and depth that is accentuated in each individual program by color branding and sliding elements integrated into the perimeter wall. 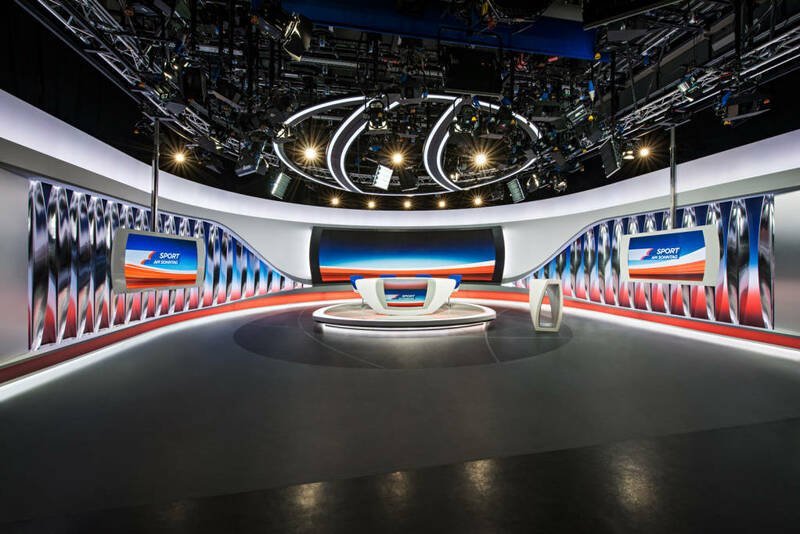 The sophisticated, meticulously choreographed and pre-programmed LED lighting enables flexibility in the fine tuning of spatial luminosity and the definition of studio depth perception. 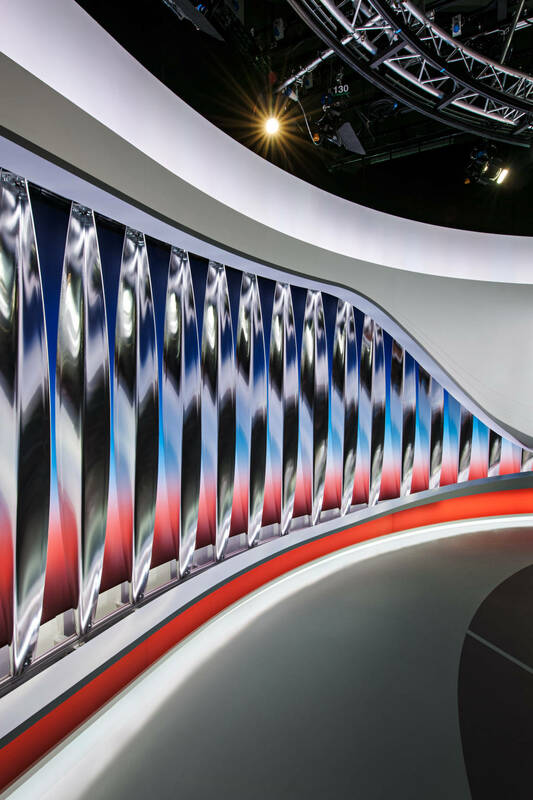 The scheme features ground-breaking media technology, including, as a centerpiece, a curved, 1.8 x 6.5m, high-resolution LED wall with a 1.6mm pixel pitch, delivering high performance images and video quality captured from all camera angles. 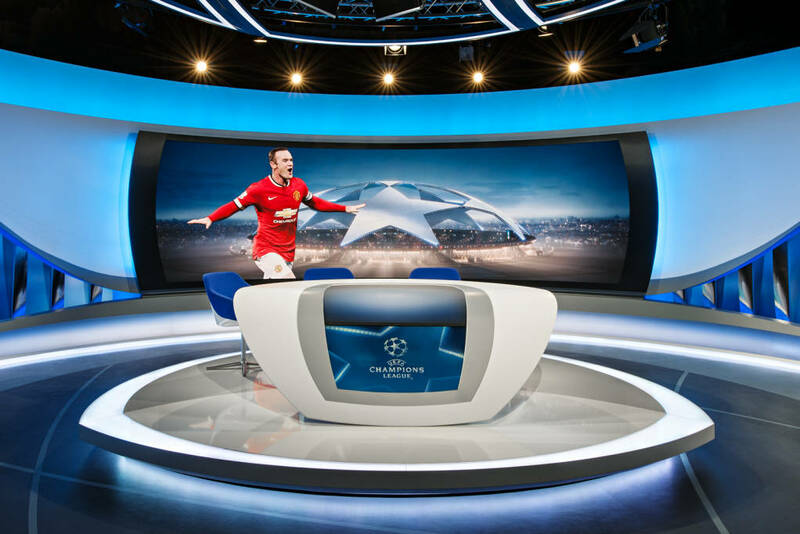 The dynamically-shaped central presenter desk incorporates up to four persons. Above this main presentation island hovers a large-scale, ceiling lighting element that reinforces the perspective definition.